An international study led by a group of researchers from the Population Health Research Institute (PHRI) of McMaster University and Hamilton Health Sciences in Hamilton, Canada, suggests that a diet consisting of a moderate consumption of fat, fruits and vegetables, coupled with avoidance of high levels of carbohydrates, is linked with a decreased risk of death. The findings of the study, which enrolled 135,000 participants from 5 continents (18 low, middle and high income countries), were published in two reports in The Lancet. In order to be specific about what moderate consists of, the study says that the risk of death was lowest in people who ingested 3 to 4 servings (or a sum of 375g to 500g) of vegetables, fruits and legumes per day, with limited supplementary benefit from more. Also, conflicting general belief, the study links the intake of a higher amount of fat (nearly 35 % of energy) to a comparatively decreased risk of death than lower intake. On the other hand, a high-carbohydrates diet (of over 60 % of energy) is associated with increased mortality; yet not with the risk of cardiovascular disease. The Prospective Urban Rural Epidemiology (PURE) study investigated the participants’ diet and monitored them for an average duration of seven and a half years. The research conducted on dietary fats concluded that these were not linked to major cardiovascular diseases or deaths due to the same. However, it was found that, an increased consumption of fat was related with decreased mortality. This was evident in all major types of fats, including saturated fats, mono unsaturated fats and polyunsaturated fats. Saturated fats were also associated with decreased risk of stroke. Risk of heart attacks were also not found to have a link with either the total fat or any individual types of fat. Even though the findings might be surprising for at least a few, the researchers are in an opinion that these results go along with various other observational studies as well as randomized controlled trials carried out in Western countries in the past two decades. A decrease in fat intake automatically led to an increase in carbohydrate consumption and our findings may explain why certain populations such as South Asians, who do not consume much fat but consume a lot of carbohydrates, have higher mortality rates"
Mahshid Dehghan, the lead author for the study and an investigator at PHRI. According to Dehghan, the dietary guidelines, for decades, were focused on lowering the total fat in the daily caloric intake to less than 30 % and saturated fat to less than 10 % of the caloric intake; this was done based on the notion that decreasing saturated fat might decrease the risk of cardiovascular disease, but didn’t considered how saturated fat is substituted in the diet. Dehghan commented that the present guidelines were framed nearly 4 decades ago based on data from a few western countries where the daily caloric intake included over 40 % to 45 % of fat, including over 20 % of saturated fat intake. The intake of these has come to a much lower level in North America and Europe (31 % and 11 % respectively). The second paper from the PURE study evaluated vegetable, fruit and legume intake and their relation to deaths, stokes as well as heart disease. The findings indicated that the present global intake of fruit, vegetable and legume is between 3 to 4 servings a day. However, most of the dietary guidelines urge not less than 5 daily servings. In many regions of the world, like South Asia, Southeast Asia, China and Africa, the levels of fruit and vegetable intake is much lower when compared to Western countries, as these are comparatively expensive in most of the middle-income and low-income countries. According to Victoria Miller, a McMaster doctoral student and lead author of the paper, fruit consumption was more strongly linked with benefit than vegetables. She added that, as the study included participants from geographic regions which have not been studied before, the diversity of populations enhances substantial strength that these foods decrease disease risk. The results also indicate that when compared with cooked vegetables, raw vegetable consumption is more strongly related with a decreased mortality risk. But, raw vegetables are less often consumed in Africa, South Asia and Southeast Asia. Dietary guidelines do not differentiate between the benefits of raw versus cooked vegetables -- our results indicate that recommendations should emphasize raw vegetable intake over cooked." Victoria Miller, McMaster doctoral student and lead author of the paper. Legumes, which are often consumed as an alternative for meat or some grains and starches like pasta or white bread, include beans, lentils, black beans, peas, black-eyed peas as well as chickpeas. They are generally eaten by many populations in Africa, South Asia, and Latin America. Intake of at least one serving of legumes a day is expected to reduce the risk of cardiovascular disease and death. Miller explained that the intake of legumes is less outside the above mentioned geographical area, and thus, the increased consumption among populations in Europe or North America might help. 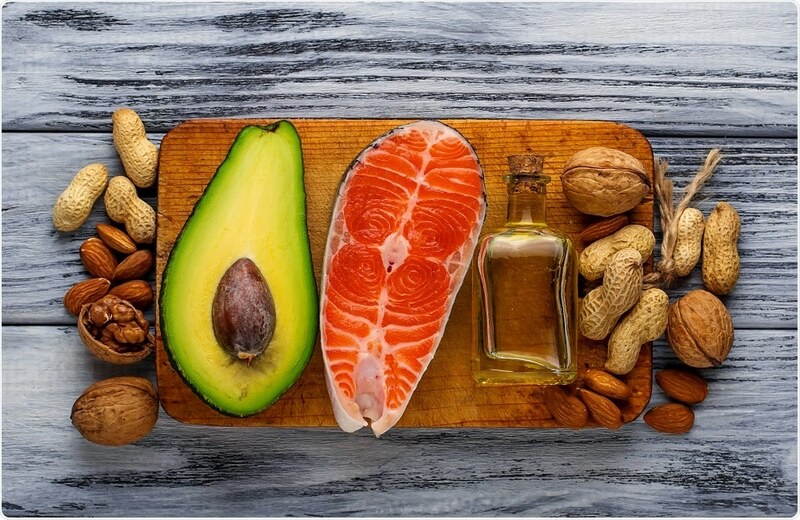 The researchers, in a third study, analyzed the effects of fats and carbohydrates on blood lipids and blood pressure and found that LDL (bad cholesterol) cannot be depended on to predict effects of saturated fat on cardiovascular events. Instead, the more apt indication of the effect of saturated fat on cardiovascular risk can be given by the ratio of Apolipoprotein A1 (ApoA1) and Apolipoprotein B (ApoB), or the organizing proteins present in the blood. Andrew Mente, an author on the three studies marks the findings as globally applicable and robust. According to him, these results provide proof to inform nutrition policies, as in some areas of the world nutritional inadequacy is an issue, whereas in few other parts, nutritional excesses might be the issue. Salim Yusuf, principal investigator of the study said that moderation, rather than consuming very low or very high amount of nutrients, in most aspects of diet should be preferred.